The fourth series will launch from Northern Ireland this year, offering writers the opportunity to develop and produce their script for broadcast on BBC Three. The aim of the series is to find the best original, contemporary stories that reflect the diversity of modern day Northern Ireland with a focus on issues and stories that are important to young people locally and further afield. 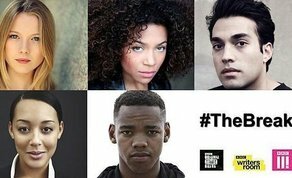 Writers who make the shortlist will develop their work through workshops and one-to-one sessions with a script editor, whilst the final five successful stories will be broadcast on BBC Three next year in participation with the BBC Writersroom. Applications are open now and will close at noon on Monday, November 5th, 2018.